Few investors have a deeper understanding of the tech sector than Fred Hickey. The renowned editor of the popular investment newsletter «The High-Tech Strategist» draws alarming parallels to the bursting of the dotcom bubble in the year 2000 and spots high risks in stock market darlings like Amazon and Apple. For the industry veteran, one important reason to be concerned are rich valuations. He also sees troubles ahead with respect to the rise in interest rates and the growing mountain of debt around the world. Against this background, the outspoken contrarian sees bright opportunities in gold and in attractively priced mining stocks. For many investors around the world, Fred Hickey’s monthly newsletter is a must read. It’s a unique treasure of deep knowledge that goes way beyond the tech sector. Having grown up in Lowell, Massachusetts, in the heartland of the computing cluster around Route 128, Mr. Hickey has been fascinated by technology since his youth. After graduating from the University of Notre Dame, he started working for the former telecom giant General Telephone & Electronics. In 1987, he began writing his newsletter for his friends and family. After just five years it went so well that he could make a living out of his investing tips. Today, Mr. Hickey who likes to take long walks in his rare spare time, lives far away from Wall Street in Nashua, New Hampshire, and in sunny Costa Rica. Mr. Hickey, despite raising interest rates, global trade tensions and turmoil in the emerging markets the stock market in the United States is chasing one record after record. How long will this go well? Today’s situation reminds me of the fall 2000 which was a very difficult time for me as a contrarian investor. The internet bubble had broken in March when the Nasdaq peaked at 5132 and all those crazy valued dotcom stocks had crashed. In the three weeks after the Nasdaq had peaked it looked like the whole stock market had broken. But it hadn’t because investors rotated into what they perceived to be safer big cap tech names. So, they piled into stocks like Intel, Cisco, Microsoft, Nortel, EMC and Sun Microsystems. And that’s what we’re seeing today in a similar way with stocks like Amazon, Apple and, again, Microsoft. Once we got into September and October, the market started to roll over. Back then, I was short via puts a number of tech stocks. My biggest short position was Intel and the stock first went higher and higher. In August 2000, Intel rose 20% in just one month and pushed into a new high of almost 76 $ a share. For me, these were some of my toughest days trying to fight the mania. The maniacs were piling into the stock and had no clue. They were only chasing momentum – just as they’re doing it today. But as soon as Labor Day rolled around, Intel’s shares started to fall because fundamentally the business was deteriorating. Intel had to lower its outlook and the stock crashed 45% in one month. Think about it: At that time, Intel was the second largest company in the world. It’s the equivalent of Amazon today which means that Amazon’s market cap would go from around $1 trillion to $550 billion in just one month. That’s a shocking thing. But the difference is that Intel’s P/E ratio was 55 back then. Amazon’s is 155 today. Then again, there are also important differences. In 2000, the Fed Funds Rate was 6,5%. Today it’s hardly more than 2%. Shouldn’t that provide some kind of safety net for stocks? The bulls argue that interest rates are very low. Therefore, they think the coast is clear. But here’s the problem: By dropping rates to zero percent or even lower central banks have encouraged the whole world to take on an enormous amount of debt. Global world debt amounts to $245 trillion and it’s up 40% since the credit crisis. They have tried to correct a debt crisis with much more debt. Just consider the US, for instance: We have more than doubled our debt up to $21.2 trillion and we added $1.4 trillion of debt in the last twelve months. So even though interest rates for US treasuries are historically still very low at this point, we are heading into severe troubles. Even with rates staying where they are today the interest expense for the US government is going to be skyrocketing in the next years just like the price of bitcoin before it broke at the end of 2017. Why is this a problem for stocks? This huge amount of debt is causing all kinds of other problems. With rates around the world now rising we’re probably looking at another emerging market crisis. There are some twenty countries now whose currencies have fallen by double digits against the dollar. And in the US, it’s not just the government that borrowed heavily. Consumers have borrowed a record amount of debt as well as corporations. This means that higher interest expenses will more than offsets or at least equalize the positive effects from Trump’s tax cuts – and these tax cuts are going to increase the deficit even more. Yet, the people who funded the US deficits are dropping their treasury holdings. Japan, China, Russia and Mexico have all sold a lot of treasuries. The only ones remaining who are now funding the US in a big way are the Europeans because they still have negative rates. But as rates in Europe eventually are going to rise this support could go away, too. Investors who are piling into these big-name tech stocks are not thinking about that. You have been bearish for some time. When will judgement day come? No one knows exactly when. In March 2000, I didn’t know that the Nasdaq would break, nor did I know that S&P 500 would break a number of months later. But today, I know that the most elusive objects of speculation, the cryptocurrencies, have broken. Also , the situation in the emerging markets is getting worse, interest rates are rising, the Federal Reserve is scaling down its balance sheet and consumers are in trouble. We’re already seeing indications of weakness in the housing market as well as in auto sales. So, it’s just a matter of time and each time the Fed raises rates further it’s a adding a straw to the camel’s back. The Fed knows that this is an extremely difficult situation even though they never admit it. Almost every time we had interest rate hike campaigns by the Fed it led to a recession and a bear market. I don’t know if history will repeat exactly. But I know it does rhyme and we’re kind of in the same situation today as we were in the fall of 2000. But weren’t equity valuations significantly higher at that time? True, the P/E ratios don’t look as high as they were in 2000. But other indicators do. For instance, the median price to sales ratio for the S&P 5000 is two times higher than it was in 2000. What’s more, the median price to book value is just as high as it was back then. This shows that this bubble is much broader than it was in 2000. And think about all the methods that corporations have taken in order to pump up their earnings which includes the record number of corporate buybacks and non-GAAP- earnings numbers. They do everything they can to make earnings look better than they are. If you were to take all those gimmicks out, you probably have P/E ratios just as crazy as you did in 2000. That’s how dangerous this bubble is. But there is no recognition in the market just as there was no recognition in 2000 of the danger that was ahead. So, which of today’s mega-cap tech stock is the most vulnerable? Some of them have already started to break. Facebook has broken. The stock is down quite a bit and, the company is under great pressure. There are regulatory issues and they are losing customers. Netflix has broken, too. But if you look at the biggest names, the ones that are still holding up, Apple looks like the most vulnerable. Apple is a smartphone maker. But even though it has the largest market valuation in the world, it’s not the number one smartphone maker. Until recently, Apple was number two after Samsung but now it dropped to number three because Huawei, a Chinese smartphone maker, surpassed it. Also, Xiaomi which is right behind Apple is growing dramatically faster and will soon take out the number three spot. Agreed, but Apple has successfully positioned itself as a premium brand in the smartphone market. Also, their service business shows robust growth. But keep in mind that a lot of these services are games for smartphones. If you are losing market share and you are not selling much more smartphones you are not going to be able to sell services. A year ago, Apple announced their tenth anniversary iPhone X. It was supposed to kick off a new super-cycle like the iPhone 6 Plus did in 2014. But sales aren’t that great, and inventories rose significantly. Now, they’ve launched a series of new products like the iPhone XS Max. But these new products don’t have many new features. And right now, the Chinese makers have really good products at one third less of the price. This is what happened in the PC market, this is how people lose market share. So how the heck can you be valuing Apple at $1.1 trillion? They’re losing market share and they’re trying to raise prices in a saturated mature market. Nevertheless, the share price keeps rising which makes the stock highly vulnerable. Which is the strongest big-cap tech stock? I’d say Google has a better longer-term position. But let me tell you what happened in 2000 to all those big cap names: Intel’s stock, even though it was the second largest company globally, fell 80% until it bottomed. Cisco’s stock fell 90% and that was the third largest company. Nortel fell 99%, and EMC and Sun Microsystems fell 96%. So, if you’re asking which one of today’s big cap tech stocks is going to do better I would refer to Intel after the dotcom crash: It did better than the other stocks with “only” 80% decline. That’s what the future looks like today and there will be no place to hide. So how are positioned as an investor? Since this is a bubble I’m doing exactly what I was doing in 2000: I’m not long any tech stocks because I’m expecting a crash. When I’m bullish I like to be in stocks which generate lots of cash flow, have high margins and these are oftentimes software companies. But when I’m bearish, I want to be short – through put-options – stocks where the cash just flies out the door and where the cycles are so extreme that we get the biggest booms to busts. That’s in the semiconductor world and that’s where my focus is. The semiconductor market has topped, and some memory makers are getting hit hard already. Western Digital has gone from over $100 late last year to around $50. Micron Technology is getting hammered as well. I also have put options on Intel and Nvidia . The semiconductor equipment manufacturers are starting to get hit, too. Lam Research went from around $220 to $150 and Applied Materials is getting hit, too. How bad will it really get? In the past decades, investors could always count on the Fed to step in when things get dicey. There is going to be a lot of pain unless the Fed comes in and prints a heck of a lot more money. With interest rates still at these low levels, they are not going to be able to lower rates much more. In fact, when they tried to lower rates in 2007/08 it didn’t have any impact. The markets kept plunging so they had to launch quantitative easing. So, this time it’s going to be another round of quantitative easing which will hopefully indicate to the people that the central banks are never going to be able to get us out of this. Money printing never works. If it worked, everybody would have been doing it for 5000 years. A lot of governments have tried it and every time it has failed. All you get is malinvestments, overcapacities, asset bubbles and all these evil things. So, what should investors do? Up to the 2000 bubble I was a 100% in tech names. That worked out great because I benefited from the great bull market in the 80s and 90s. But I sold my last tech stock in late 1998 when I realized that this was a bubble. I also realized that the Fed and the other central banks were out of control. I didn’t know how out of control they would get. I don’t think anyone could have imagined that there would be trillions of dollars around the world with negative rates because this never happened before in human history. Also, I would never have imagined of $15 trillion printed around the world. All I knew for sure was that monetary policy was out of control. So, I looked around and asked myself what will do well when the central banks are going crazy? How can I protect my wealth if they are debasing the currencies in order to continue with these bubbles? 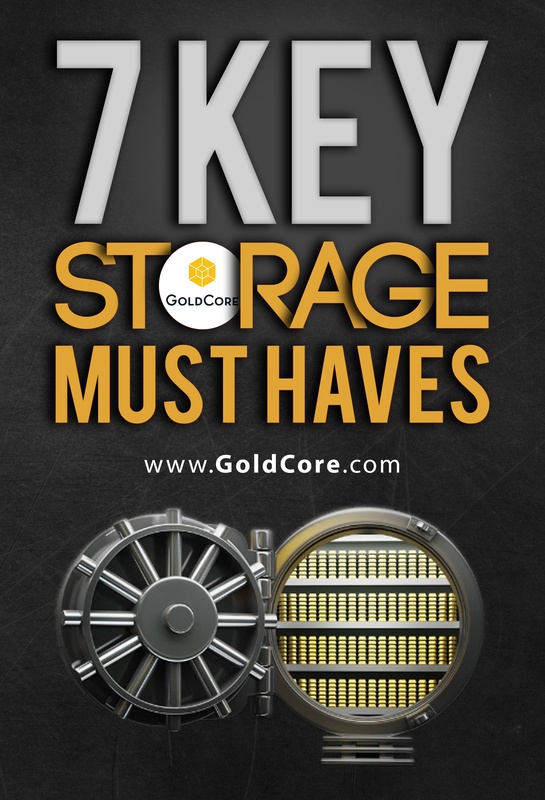 And of course, historically the best way to protect your money is precious metal. Gold and especially gold mining stocks had an amazing run in that last decade. But since 2011 gold’s glimmer seems to have faded. Two factors were responsible for this: growing production and shrinking demand from financial investors. But now, I think the gold market bottomed in December of 2015. Gold production is going down because many mining companies have slashed their exploration and development. There are no new major mines that have been found and there aren’t many which are being developed. That means supply has started to shrink and it will continue to shrink. On the other side, we had a great disinvestment in gold by US investors who have poured all their money into stocks. But when the stock market declines, as I expect, they are going to do what they usually do: They are going back into gold and demand will increase at the same time as supply is decreasing. How will this impact the stocks of gold miners? In the last gold bull market which started in 2001, gold was up 650% but the gold miners were up 17 times. Also, in the first phase of what I consider the new gold bull market which began in 2016, gold went up 30% but mining stocks went up 160%. So, you can see the leverage, especially when these stocks are depressed like today. For me as a contrarian, this is an amazing moment. On one hand, it’s a demoralizing moment like it was in 2000. But at the same time, it’s the most exciting moment since gold is on the cusp of an explosion higher. All you have to do is to be willing to wait and to be patient for it to happen, but most people are not. The post “Gold Is On The Cusp” Of An “Explosion Higher” As Stock and Tech “Crash Is Coming” appeared first on GoldCore Gold Bullion Dealer.